I recognized Bjorn Wiinblad's "King's" and "Queen's" prints in Better Homes & Gardens, 1960 "Decorating Ideas" issue (see my previous post today). It appears that the home owner decided to crop the pieces to fit the frames (unless they came that way; which is unlikely). 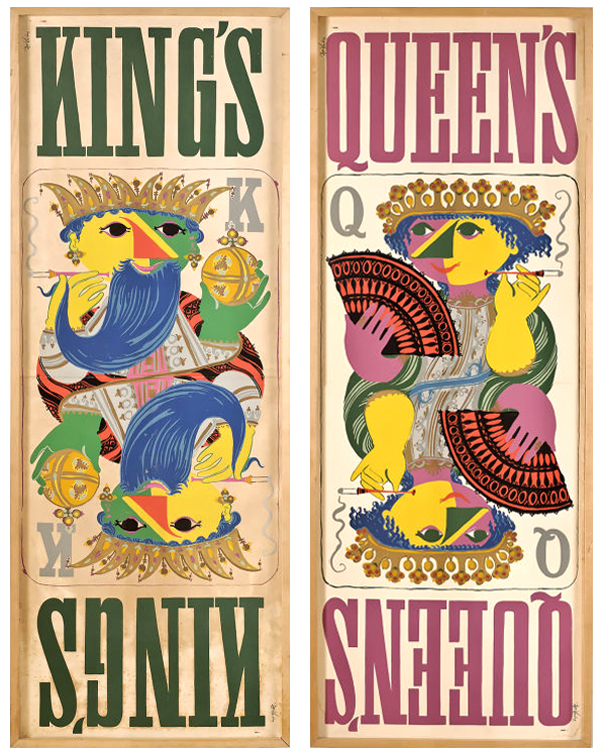 The prints were designed in the early 1950's. 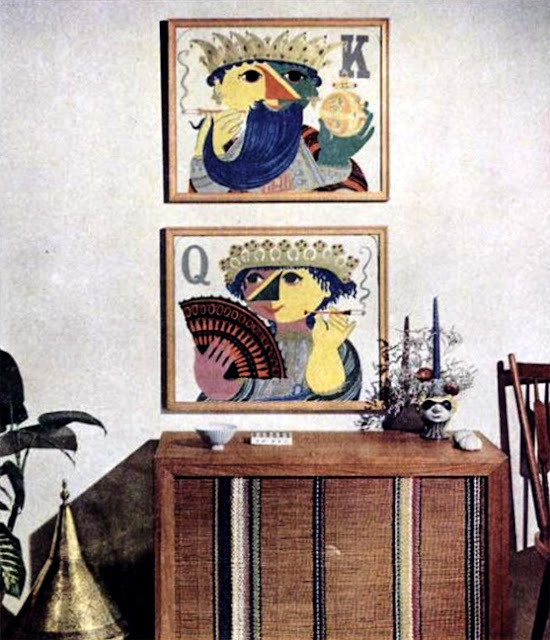 Bjørn Wiinblad's King's and Queen's prints as seen in BHG "Decorating Ideas" issue 1960. Here are the same prints uncropped. They are quite large measuring 68.3" x 25.75". The above set was available for $3,250 at the time of this post from Assemblage LTD.
Hey Dan, sounds like you scored to me! I currently do not have any additional info on them, but I will let you know if I find out anything more. Thanks for stopping by my blog.